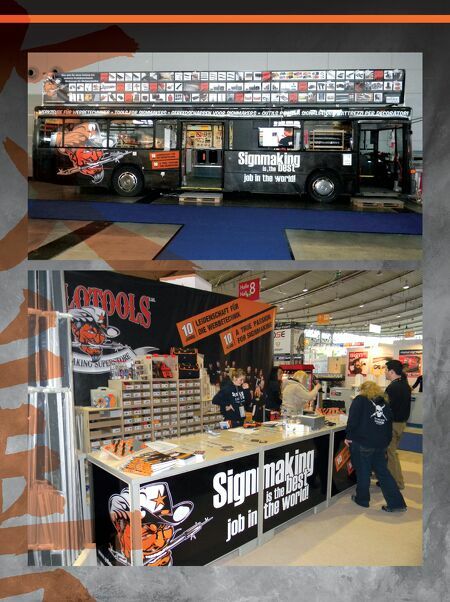 This philosophy is what has made German tool manufacturer for sign makers Yellotools so successful and efficient. The company started 10 years ago as a two-man operation and grew to a team of over 20 experts in injection molding, engineering, wood working, sign making, CNC routing, marketing and more. Serendipity brought founder Michael Althoff together with businessman Paul Akers (Fastcap) from Bellingham, Washington, who is known as the "LEAN Coach" in the United States. Akers showed Althoff how easy it is to motivate his team to get on the "LEAN-boot" because the entire system is not just beneficial for a business -- it reaches all aspects of life as well. Althoff combined the German engineering philosophy of doing things precisely and perfectly (source locally, share credit, and make quality products) with the Japanese concept of Kaizen, which translates to continuous improvement. Together they form the LEAN Thinking strategy of improving manufacturing on a daily basis. The concept is supported by Akers, who has proven that this system really can change everything. Since this "recipe" works so amazingly for Yellotools, Althoff receives invitations to conduct speeches all over the world to talk about his experiences. Companies also tour his facility in Germany to learn more about this culture of running a business. paid advertorial "It´s all about added value," Althoff says. "That means everyone at Yellotools is asking themselves constantly, would the customer be willing to pay for what I am doing right now? That seems odd, but it works fantastically. "If people just go to work in the morning to make some bucks, they will be frustrated at one point," Althoff says. "If you change the reason you go to work to the simple goal of making a customer happy, your entire working life will improve." 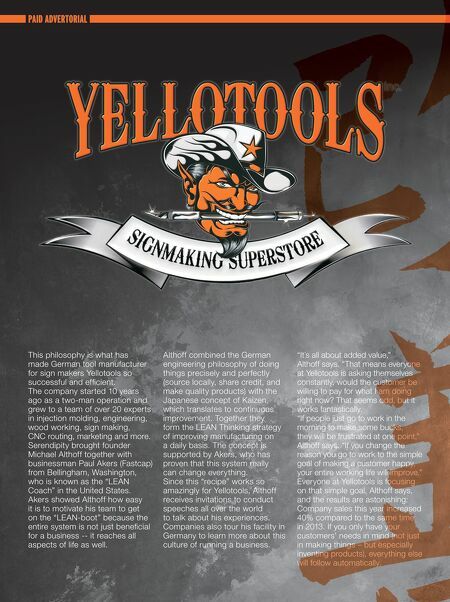 Everyone at Yellotools is focusing on that simple goal, Althoff says, and the results are astonishing: Company sales this year increased 40% compared to the same time in 2013. If you only have your customers' needs in mind (not just in making things – but especially inventing products), everything else will follow automatically.